U.S. yields continue to quietly move higher, forcing further retreats in gold and silver prices, with any safe haven premium absent from trading for now. Gold prices crawled higher in Asia reclaiming some of its overnight losses as traders awaited the start of the China Communist Party Congress. Trading is expected to be thin in the Asia session with Singapore on holiday today, but the sentiment intraday seems to be to buy dips ahead of any surprise headlines from the party congress. U.S. yields continued to rise overnight over the short end of the curve, eroding last week’s gains by gold even further. Opening yesterday at 1295.00, it fell throughout the session to finish 10 dollars lower at 1285.00. With precious metals seemingly ignoring geopolitical factors, for now, gold will continue to trade at a high beta to U.S. yields. Gold has traded up three dollars to 1288.00 with resistance at the overnight high of 1295.00 followed by 1315.00. Support now looms though at 1281.00 and then the 100-day moving average at 1275.65 with a break suggesting a retest of the October low at 1260.00 is on the cards. A break here will likely be the straw that breaks the camel’s back for bullish traders. We would expect longer term bullish positioning to throw in the towel under this level, retreating to the sidelines to lick their wounds. 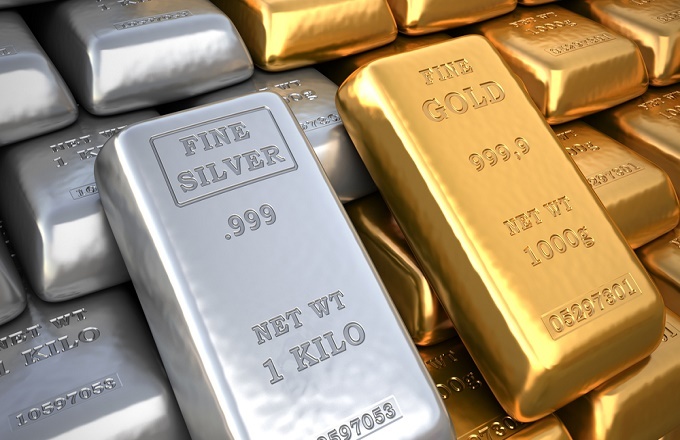 Silver also retreated overnight, following gold and falling 20 cents to close in New York at 17.0300, just above the psychological 17.0000 level. It is unchanged from this level in quiet Asian trading having given up it’s earlier light gains as President Xi’s speech contained no surprises. Silver broke its 200-day moving average at 17.1900 overnight and this form initial resistance today followed by 17.4700. The downside is altogether more interesting with the 38.20% Fibonacci at 16.9600 and the 100-day moving average at 16.9000. A break of this support zone will set silver up for a deeper correction and retest of the critical 16.5375 level which held the correction multiple times on a daily closing basis. Like 1260.00 with gold, this later level may well turn out to be the pain level that longer-term bullish positions decide to throw in the towel and head for the door. A break of 16.5375 opening a test of the 61.80% Fibonacci retracement at 16.1850.